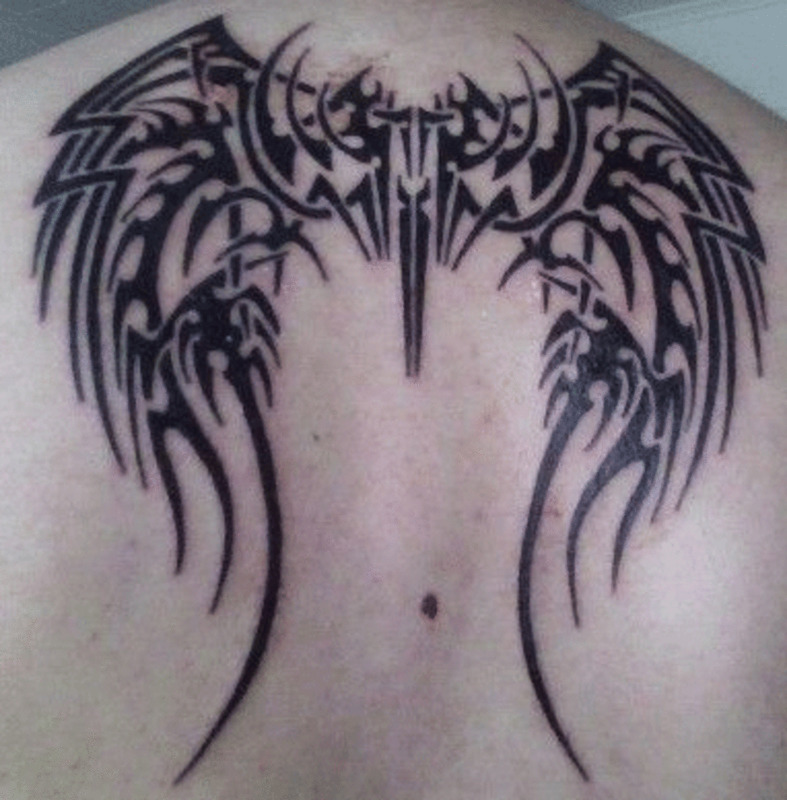 Whimsical, realistic, religious, or tribal, wings make a beautiful tattoo to represent your unique personality. Wings are beautiful on birds, insects, and mythological characters. 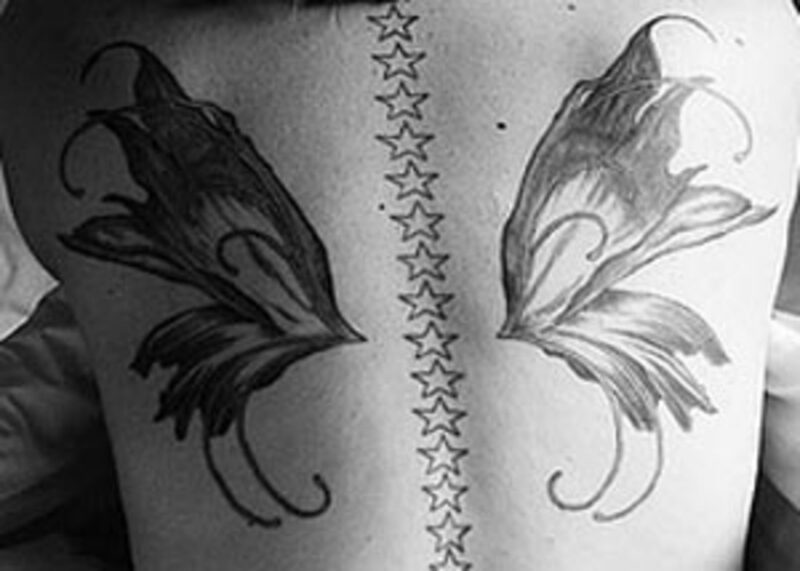 Wings can be drawn in many different styles, depending upon the artist. 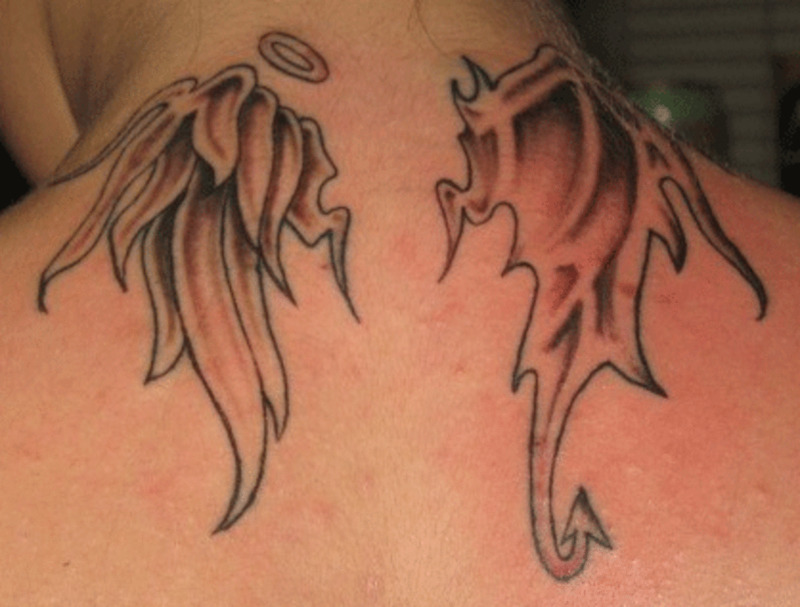 What Do Wing Tattoos Symbolize? 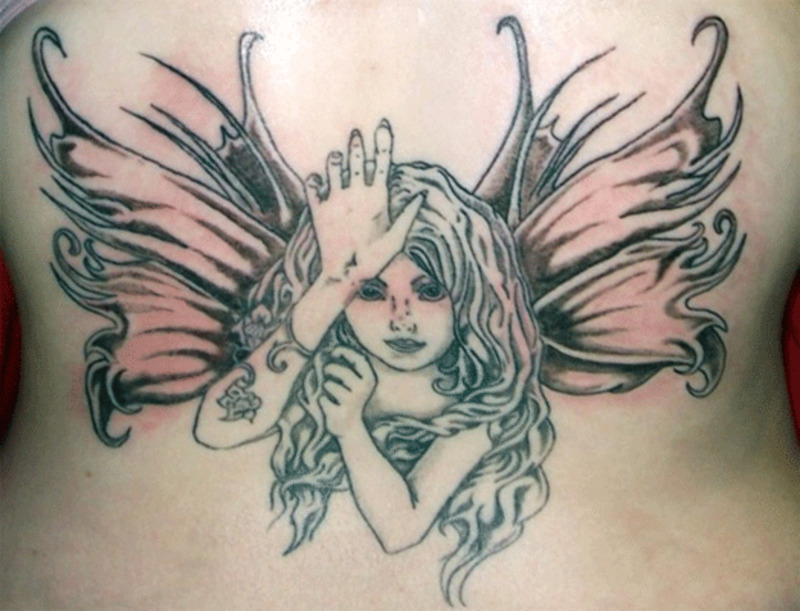 These tattoos often appear on the back, since that is where wings are located on the creatures that have them. Most traditional feathered wings will take up the width of the shoulders. Aside from those pictured here, I have also seen wings tattooed on neck napes and hips, as well as arms and backs. 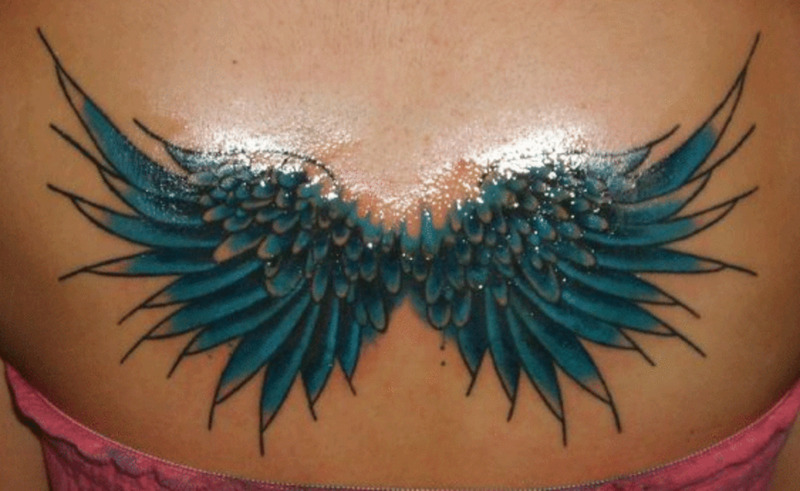 Traditional, feathered angel wings is probably the most popular wing tattoo design. 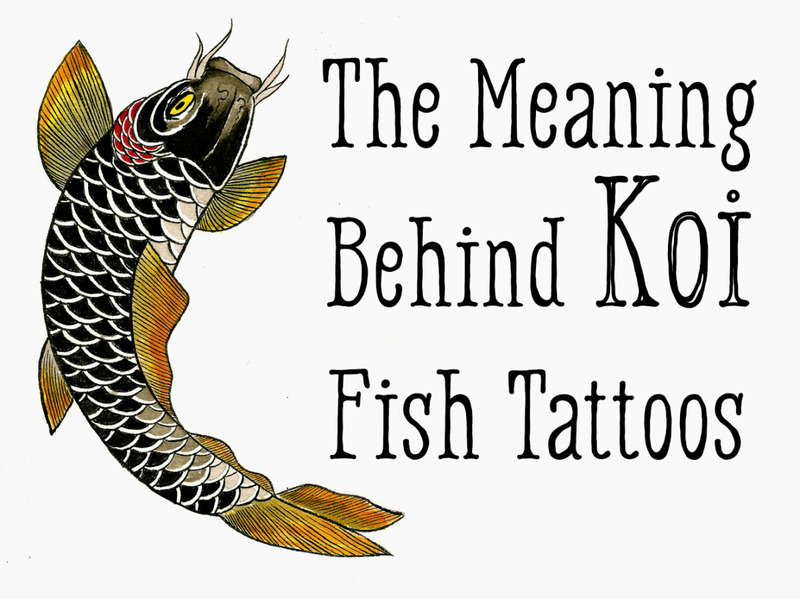 They tend to be inked only in black and tattooed on the back of the recipient. 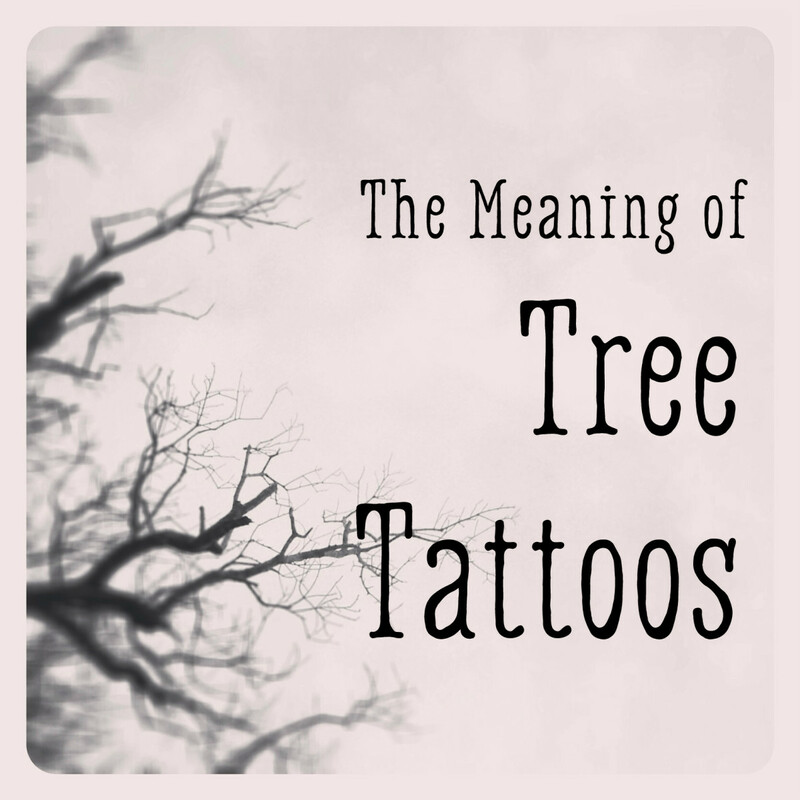 Some of the tattoos shown below include other items, such as a halo, a complete angel, or a cross. Tattoo by artist at Identity Tattoo and Piercing Studio, Bridlington, East Yorkshire, England. Tattoo by Macky and Sheralyn, Electroline Tattoo Studio, High Pit Road, Cramlington, UK. 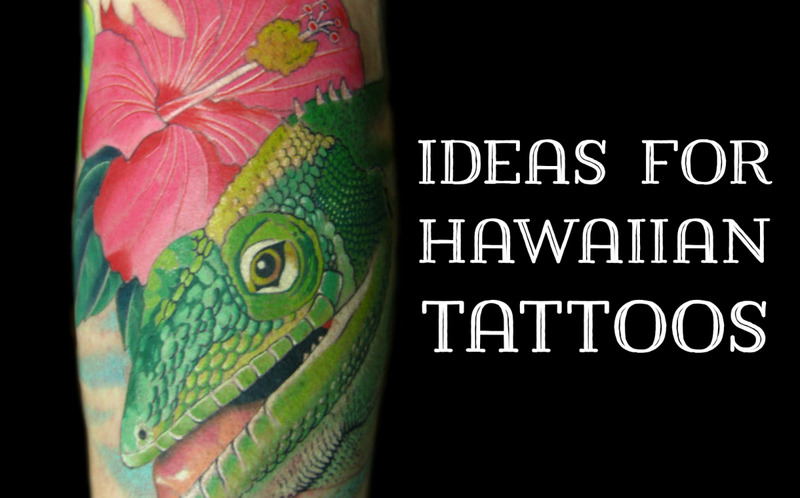 Tattoo by Jerry, Body Temple, Oceanside, CA. Tattoo by Janine Neuhaus, Sam's Tattoo, Gelsenkirchen, Germany. 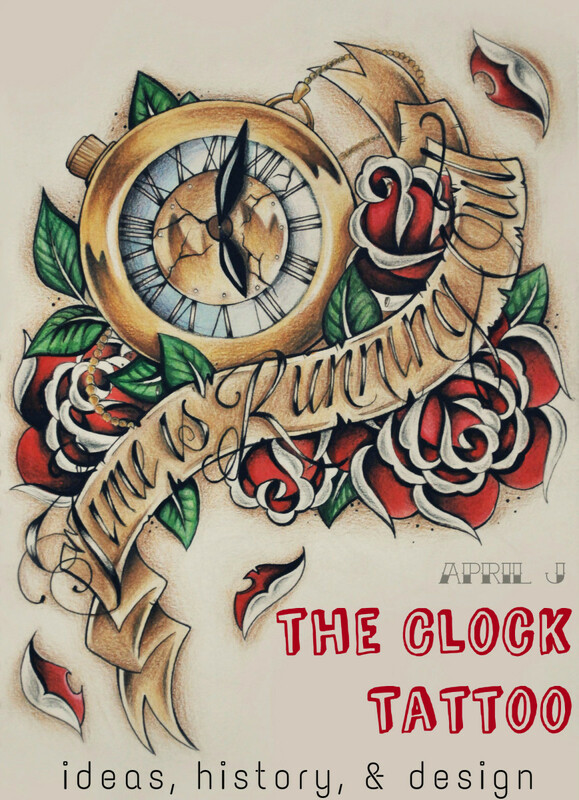 Tattoo by Matt Terry, Fu's Custom Tattoos, Charlotte, NC. Tattoo by Cliff Ziegler, Zebra Tattooz, Streetsboro, Ohio. Tattoo by Greg, Sinkin Ink, Hamilton, Ontario, Canada. 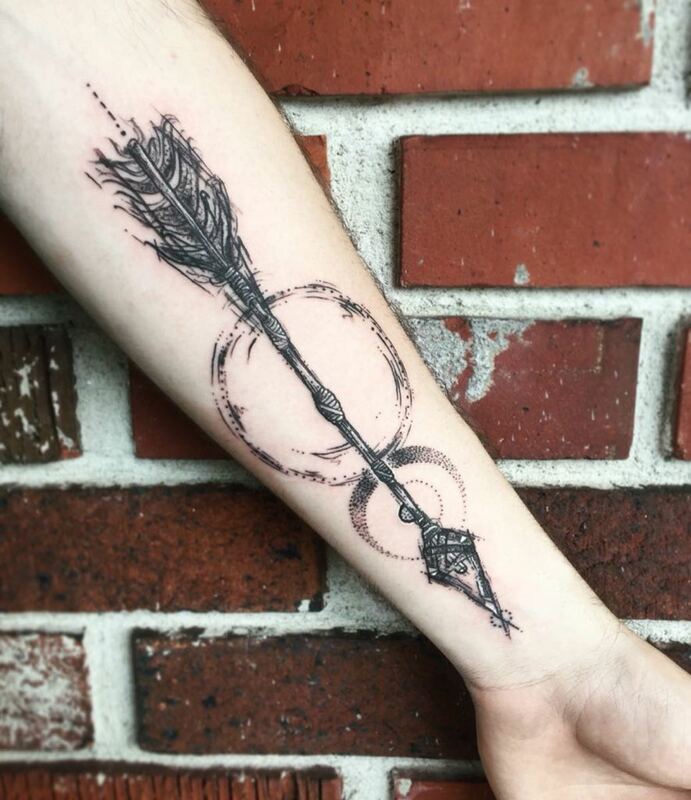 Tattoo by Jamie, Good Clean Fun, Snellville, Georgia. Tattoo by Aaron, Mos Eisleys, Grand Rapids, MI. Tattoo by Jean-Michel, Atomik Tattoo, Ste-Foy. Tattoo by Ray, The Tattoo Studio, Sidcup. Tattoo by Gino, Manila, Philippines. 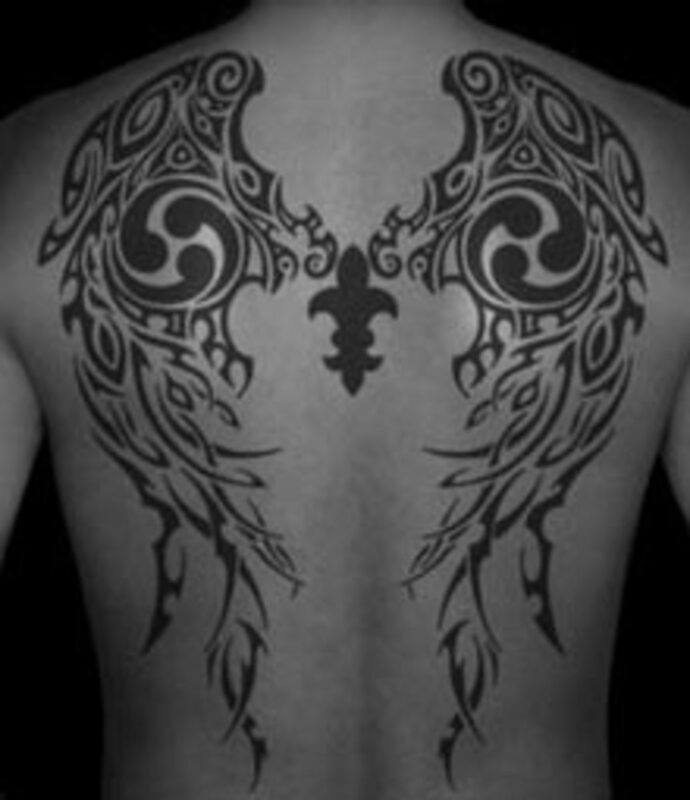 Another popular style is to draw the wing shape in black tribal style and fill in with symbols from myth, legend, or Native culture. 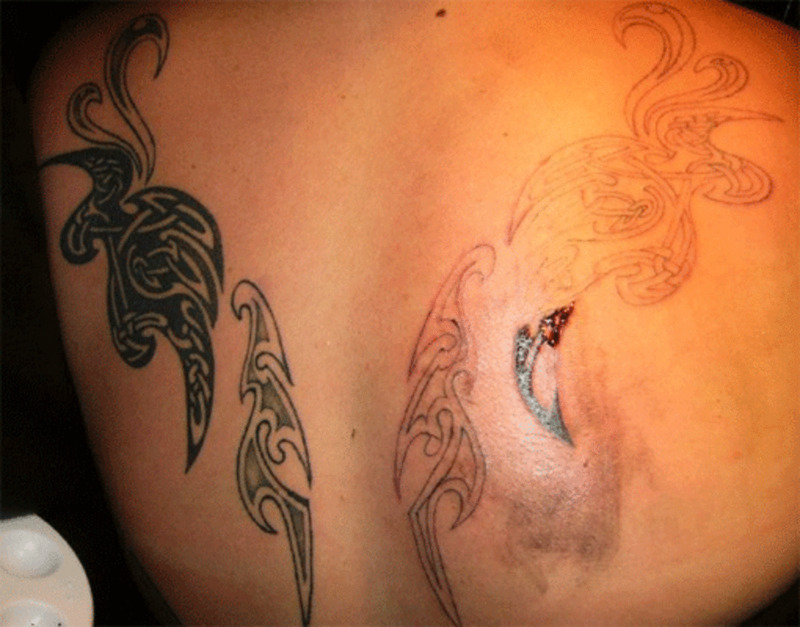 Depicted this way, a wing tattoo can symbolize warriors in myth or reality. 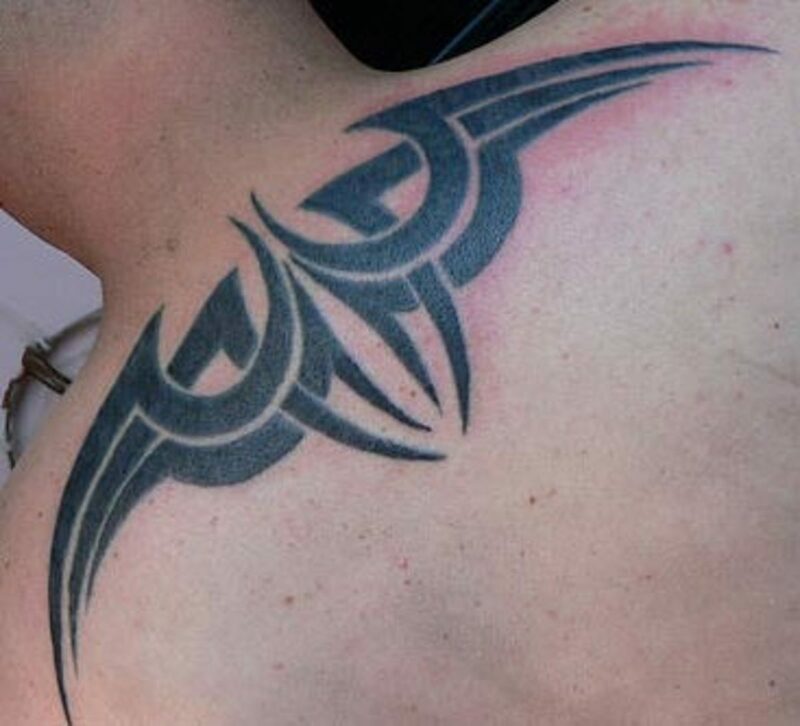 Tribal wings use the wing shape and fill in with symbols. what does a SINGLE angel wing mean?? 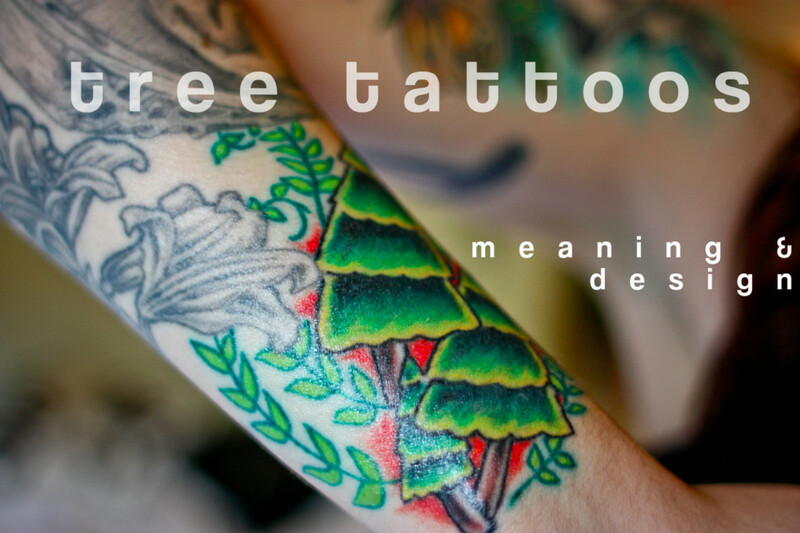 Im sorry, but some of these tattoos are just so badly done, like issues with shading and line work.. 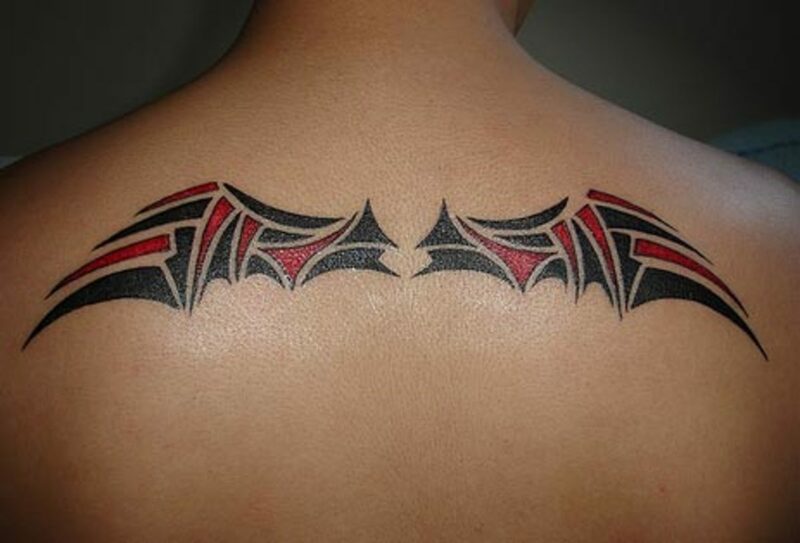 wow...I'm in love with that black and white tribal one! 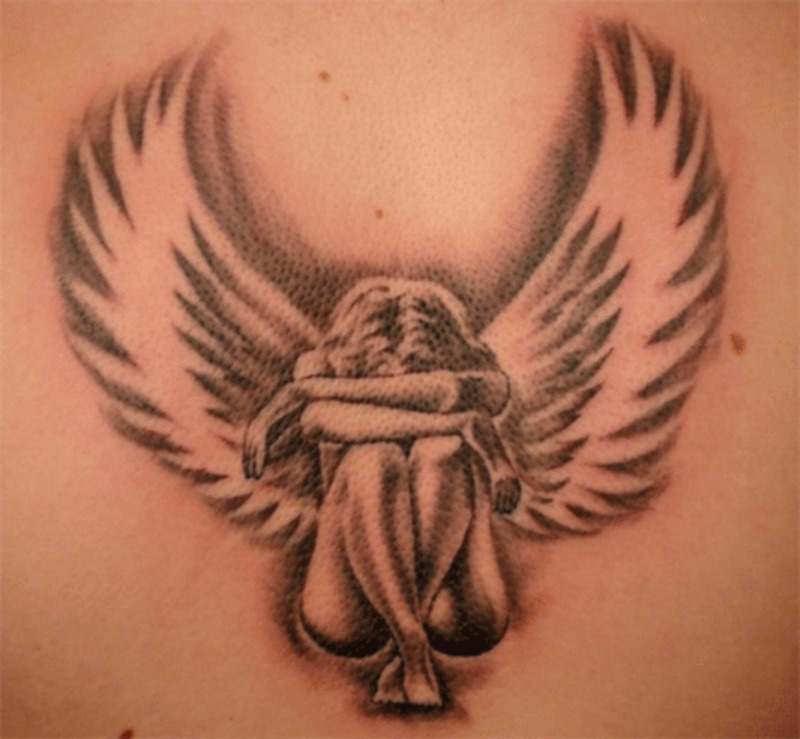 You could go to Photobucket & enter 'angel wing tattoos' into the search engine...they may have some pictures. 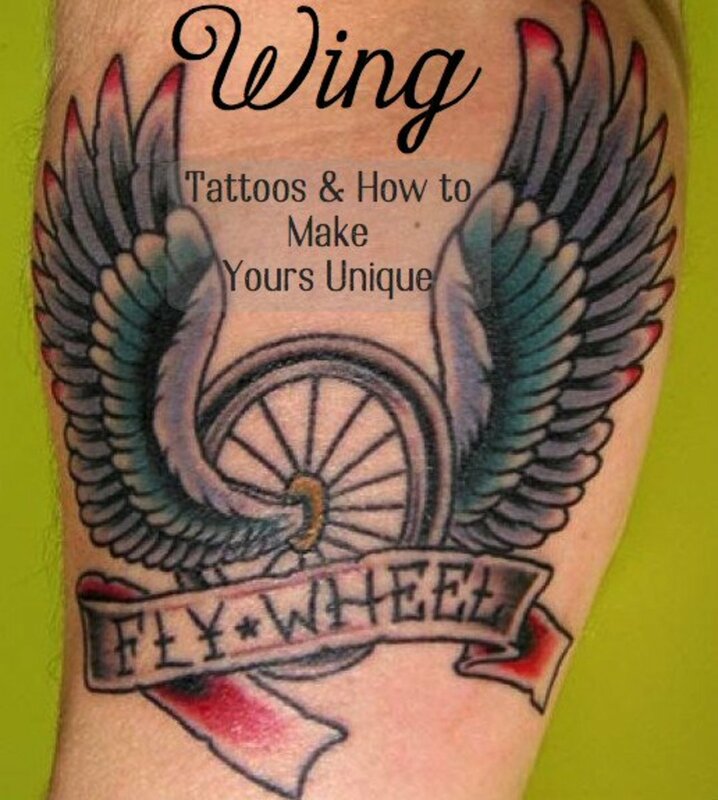 I am actually thinking of getting a tattoo of a wing on my left hand (between wrist and elbow) - my b/f is gonna put the same on his right hand - so it looks like we each have a wing on opposite hands. 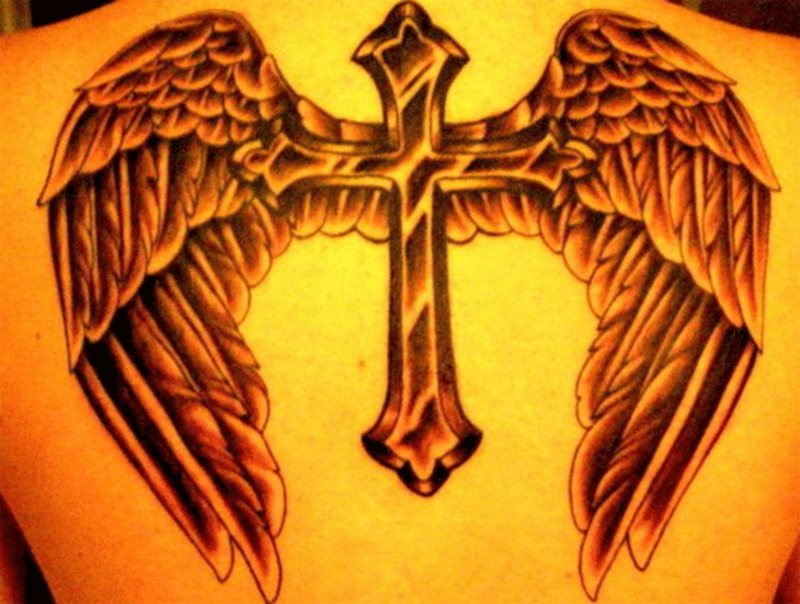 i have a tat..a cross tat..and im planning to have a wings tat. connected to my cross. 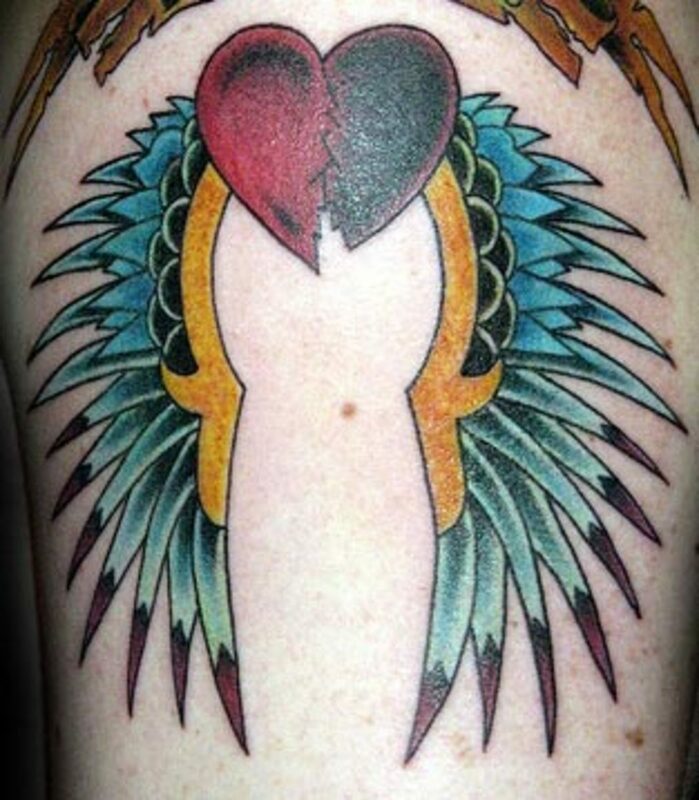 i am thinking about getting a tattoo on my leg of wings but i cant find any pics where the bottom of the wings are overlapping any suggestions on where i should look? i'm glad i came across this hub. 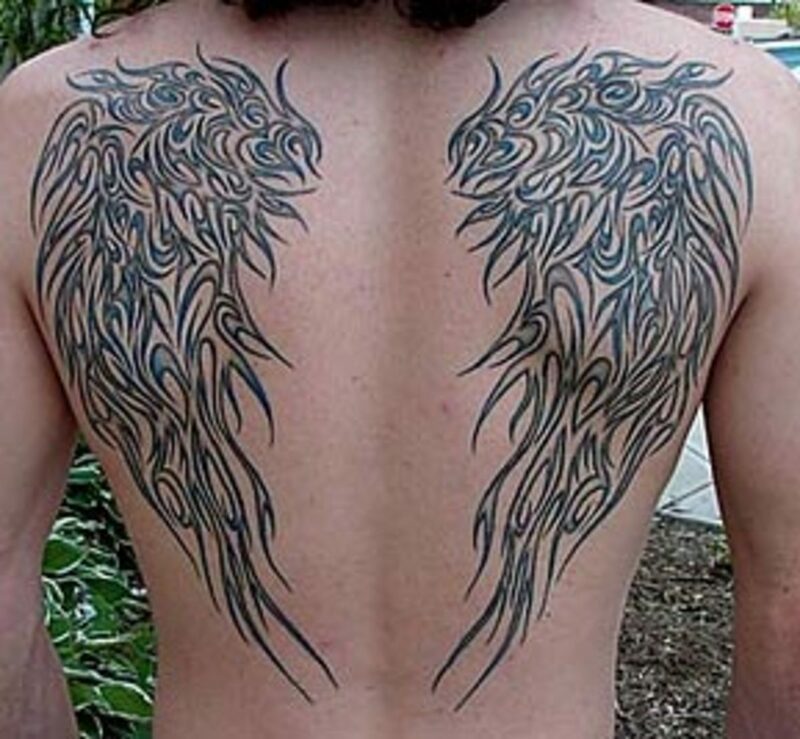 i've been thinking of getting wings for my big tattoo on my back.. but have been unsure. great pictures! 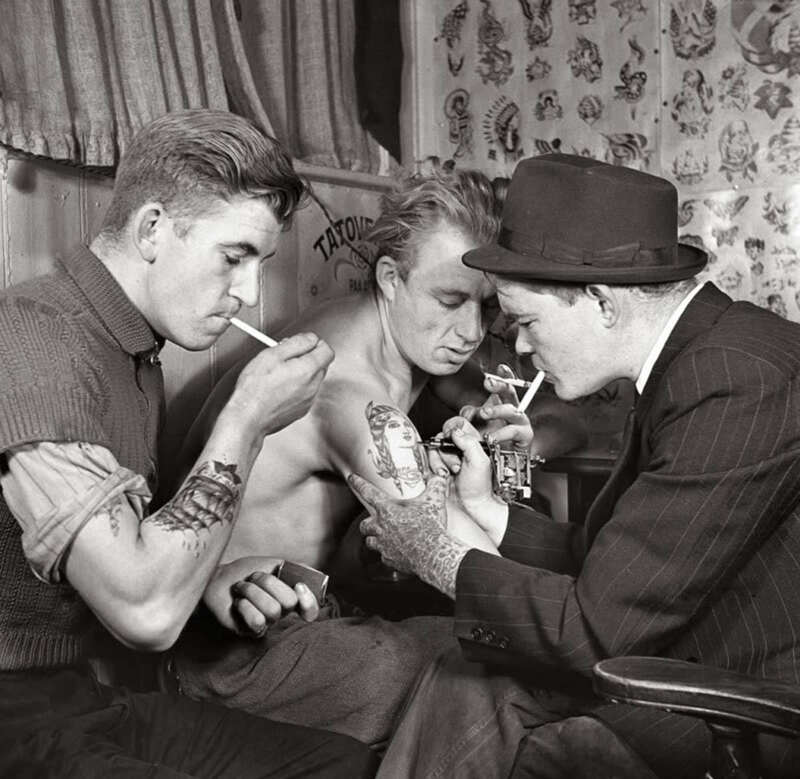 The tatoo are real living art. The photos are beautiful.